Finishing well . . . Walking in faith . . .
Did you know that the seasons occur because of the tilt in the earth's axis with respect to the plane of earth's orbit? Spring, summer, autumn and winter are four well recognized seasons. We wear different types of clothing according to the climate of the season - like in summer we wear cotton clothes because cotton helps us absorb sweat. Winter we bring out the layers of comfy clothes and outer wear. Then of course there are also the "rules" of fashion and seasons. No white shoes after Labor Day - shorts are only for summer - pastels are only for Easter or spring . . . But that's enough information about the seasons, right? Here's my point to this challenge - - - what about seasons for reading certain books? I have noticed that I tend to notice book covers that coincide with the season we are in! I love to look at allllll beach books during the summer - any beach - anywhere - but I love to see water and sand, boats and beach chairs and umbrellas and swim suits on a brightly colored book cover for my summer reading. How about you? Do you do something similar? Do you have special books that you re-read each season? Does Christmastime bring visions of warm fires and beautifully decorated Christmas trees on your book cover or cause you to long for a family Christmas story? Challenge: Please share your thoughts on this - and if possible maybe you can include a picture of the "seasonal books" you cherish most! I will choose a random winner and mail you a book of your favorite season! Happy Reading - whatever the season! If you are tired of starting over, stop giving up. The name of this post says a lot - things I have given up on far outweigh the things I've finished. NO discipline seems to be the root of my problem. Time is limited also - but I've been through plenty of time management courses and I know how to fix the problem with that. NO discipline means that my heart and soul aren't coming under the direction of anyone. My blog is going to be resurfacing and will have more of my faith woven into the posts. My lack of discipline relates to my lack of relationship with God. I see that and I need to fix that. My faith has always been part of my life - but the relationship has been missing. No discipline means that I continue to make the easy choices that are creating weight gain, sore muscles, achy bones, weariness, discouragement, sadness. A really good book Just Enough Light for the Step I'm On - by Stormie Omartien - tells us that God illuminates the next step in our path way for us - maybe 2-3 steps will be lit up! Sometimes just the next thing we are to do will be lit up. We are to have discipline to continue to tell God our worries, and our fears, wait for him to illuminate the next step, and then follow him. Every single time! Walking in discipline with God. The Readathon became a really fun thing for me to be part of years ago when my sister Tami introduced me to it. I like the excitement that leads up to taking the day for ourselves to read. Preparing good snacks - doing up laundry and cooking ahead - Purposefully leaving that day OPEN for no interruptions. Many times my day will change due to someone elses schedule. It happens. Discipline helps me say no to distractions! I hope you all have a great readathon as well. I'll be back to share with my progress and to take part in some challenges. If you are interested please check back in as I battle through the next few months with seeking God first and practicing discipline under his authority! Welcome Back to Henningsen Happenings . . . I started to blog in 2010 and it became a really fun way to share my life. As with many bloggers, life happens, situations change, and priorities come and go. Writers block? or just life getting in the way? Forward to 2017 and I'm vowing to make some changes in priorities and begin to share again. One of my sisters lives in town - - - my other sister is three hours away. She lives on a farm herself, she likes to call Green Acres . . . and she has learned to love life in the country! I guess we have been the Town Mouse and the Country Mouse - because I have had no desire for rock roads, much less dirt roads, no cable TV, no neighbors, no grocery store down the street, etc. And especially no critters! Here I sit tonight one mile north of town, actually on a fairly busy highway, with no cable, and a list of critters too long for my liking. Salamanders, spiders, toads, and mice. I refuse to even write about them. Life looks different for me now . 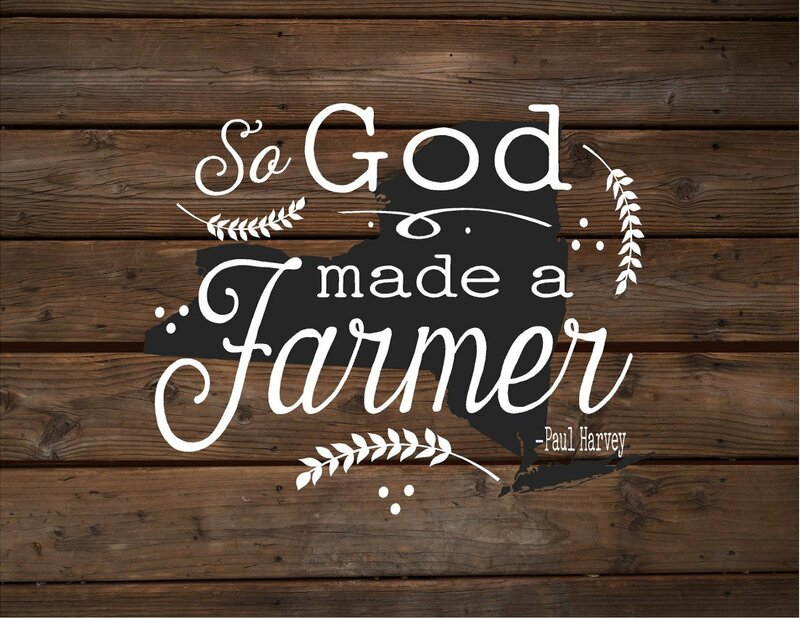 . . many of my evenings and nights are spent with my dad on the farm and I have fallen in love with the countryside here. There was a time in my life where I became very out of touch with my home town and it's a real regret that I have. However, now I have learned to love every street - and I can drive around for hours remembering the homes as they looked back 40 years ago. Jewell, KS. A "jewel" of a little village. A few years back, Jewell lost it's school, and has suffered that loss in a huge way. Once busy streets, full of high school kids from three towns, and many businesses, have become at times bare. A group of women meet for coffee at 9:30 and 2:30 every day. The men of the town can gather at the local implement dealer or the elevator to catch up on the latest news or harvest reports. I recently watched as they planned the yearly Corn Show - an event that has been tradition for 75 years. There was excitement in the town for a few days before. And although I didn't attend the parade - the pictures showed people lining the streets. Activities were planned for the young and old - with BBQ's and an exhibit hall with produce, crafts, quilts, art work, and much more. As I begin to put my thoughts out there again and share some of what life has brought my way, I'm taking a new perspective to my last 1/3 of life. With the Grand 60th year birthday just around the corner in 2019, I am right back where I was in 2010 - - - wanting to do things well - - - finish well - - - be healthy - - - have value to what I do and how I spend my time - have a few good friends - Walk with the Lord every single day - - - be quiet, be gentle, be calm, - honor my mom and dad - enjoy my role as mom and grandma - and I invite you to join me on this journey. Please . . . share some of your journey with me here as well! For someone who really enjoys seeing books . . . looking at books . . . touching books . . . sitting in book stores or libraries for comfort . . . and anticipating Dewey's Readathon for weeks . . . 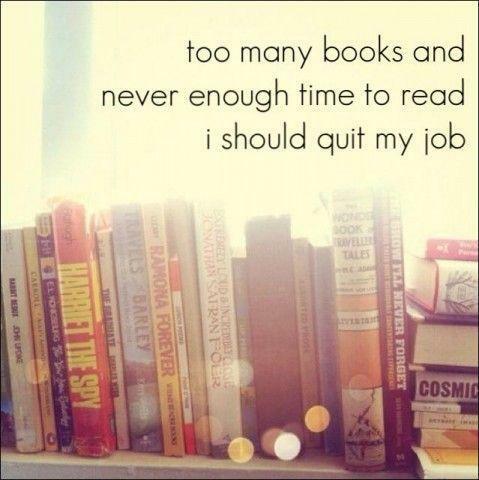 I do not get huge amounts of reading done! Is there a term for that?? Does that problem have a name?? Feel free to diagnose . . . I am in search of the Truth in my life . . . in several areas . . . and facing the Truth . . . Truth is . . . I have a job that requires I look at words all day long . . . I am tired after work. Truth is . . . I have a certain amount of house work that I want done each day . . . I do that first. Truth is . . . Atenolol makes a person sleepy. I take a heavy dose of it . . . I fall asleep! I feel better that I have decided to stop scolding myself for not reading more . . . But I still plan to read . . . I enjoy it . . . I learn from it . . . I will read. Bible . . . I will start my early morning as always with scripture and coffee. Fervent - by Priscilla Shirer - Between my Bible study and this book I will be doing some serious type reading and studying. Lastly, I can't wait to turn the pages of this: By Mary Kay Andrews . . . The night before . . . there are three "night befores" in my life that I have treasured. The "night before" we left on family vacation as a kid . . . Christmas Eve . . . and New Year's Eve. All three bring memories of excitement, anticipation, fun, planning, staying up all night, and family. So on this "night before" my blog post is to go up, I find myself in a different sort of mood as I write. I am not having the Christmas that I normally have, nor that I planned to have. That is not necessarily always bad when plans change, but I have definitely learned to adapt and go on the past several weeks. Surgery, sale of house, house shopping, self-owned business, and full-time job are keeping them home for the next few weeks. Secondly, my family unit as I have known it for my entire life is once again making a shift . . . as I age, and my parents age . . . we adjust. Hard things. So as I planned to write about the last minute hustle and bustle before 13 people hit my doorstep . . . I am quietly writing to you tonight . . . the freezer is nearly bare . . . but the car is loaded with gifts, overnight bags are packed, and yes I'm feeling excitement and anticipation, and I will probably stay up late just enjoying the season. We will be off tomorrow to spend a wonderful Christmas with our daughter and her family. Enjoyed supper out with my parents tonight. More family Christmas on the 26th and even New Year's Day! Blessed . . . even in the midst of change, disappointment, and new traditions. "Christmas, children, is not a date. It is a state of mind" – Mary Ellen Chase. Enjoy your Christmas Eve! Read the story in Luke 2 . . . the first Christmas. Cozy up by the fire with a cup of hot tea and enjoy your favorite Christmas book. Share a movie with a friend. Watch for Santa! Love those you are with. Welcome to my cozy little corner of the world today in Beloit, Kansas. It's an exciting morning around here . . . Well at least I think so . . . The hubs and puppy are sleeping soundly down the hall. Dewey's 24 Hour Readathon . . .
As I said, I'm reading in Beloit, Kansas - and I am really excited to begin reading The Secret Garden by Frances Hodgson Burnett. A classic! I love my coffee and later my Diet Coke. A friend left me a chocolate chip cookie after Bible study class last night - that might be my favorite snack today! Also thought of sending hubs to the movie theatre this evening for some fresh movie house popcorn/butter! My husband and I have two grown adult children who continue to be the lights of our world. We have 8 grand children of all ages and one great grand child. And I'm only 57! This time I am really going to focus on reading more than I have in the past. I usually get pretty caught up in reading the website, etc. and unfortunately, napping, but this year I am determined to really make some progress. Especially focusing on the two books that are on my personal book club list. The Tavern on Maple Street and Secret Garden. 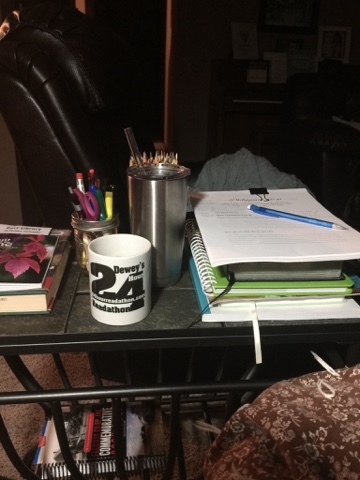 So thankful my sister Tami introduced me to this exciting life of Dewey's 24 Hour Readathon! Asking The Experts . . .
Those words have come out of my mouth on many an occasion . . .although I am not your typical book worm. I didn't grow up reading . . . I was more in to paper dolls and doll houses. My library finds consisted of The Bobbsey Twins when I was in grade school - shared them with my best friend. Then we moved on to Nancy Drew and the Hardy Boys. Reading ended for me for a few years - - - until my era of reading Janette Oke pioneer women stories in the 1980's. Then in the 1990's my sister and I started our own version of Oprah's Book Club - naming it after ourselves and sharing a book a month across the miles. Now I'm at the time in life when I am much freer to do as I please - and I should be pouring through the books. I'm writing this blog post because I don't seem to be able to stay motivated (and sometimes awake) enough to read all the great books I have either collected or purchased on my Kindle! What is my problem? I tend to think that I can't sit and read unless certain household chores are done. That's #1. Secondly, when I do sit to read I find myself being sleepy. So if my goal is to become an avid reader then I need to fix those things which keep me from it. Easier said than done - My personality is pretty set in it's way and my medicines make me sleepy - but there has to be some ideas out there to free up more time. I have friends who read like crazy - maintain nice homes and socialize . . . let me become a student of them! So, they have graciously allowed me to interview them with a few short questions. When is your best reading time? Tami (my sister) - I read most consistently in the evenings. My husband and I have very different taste in television viewing, so I sometimes escape to another room to read when I don't want to listen to his shows. When I'm home alone, I read rather than turning on the TV. It has been a standard practice at our house to read before bedtime for our entire marriage. Reading in bed has become more difficult with age because of restless legs, aching back, etc., things that interfere with comfort. But I still rarely go to sleep without picking up a book - even if I only read a page or two. Is it easy for you to sit and read if there are household chores you could do? If so - tell me your theory on this! Tami - Yes and No. I'm not a terribly finicky housekeeper, so I can ignore a certain amount of housework. Again, it's easier in the evening. I established a plan when my kids were young that gave me 9:00 pm. cutoff for housework. Anything not done by that time, I was allowed to put on hold for the next day. I would have an hour or so to myself, and I usually spent it reading. I sometimes read in the afternoon, but it's more difficult to ignore household duties then, so I play games with myself: One chapter, one chore; or 30 minutes of reading, 15 of housework. Carol - It is usually pretty easy! Sometimes I do have thoseh chores crossing in and out of my mind. My best theory is, though, that those chores will still be waiting when I come to a good stopping place in my book, or, I come to the end of the book . . . and I'm not ready to start another one! A proven theory is that "things will get bad enough" and I will definitely have to put those pages down! Mary - What I do when I feel like reading during the day and I need to get work done, I treat myself . . . like when the living room is dusted and vacuumed . . . then I can read for a few minutes, then off to the next project. What is the one thing that will keep you from sitting and reading? Tami - Restless legs!! I asked my husband his opinion on this one and his immediate response was "TV! It's so much easier to stare at the television and it's a habit, I think." Since we usually eat in front of the TV (another bad habit) it's harder to turn it off and pick up a book. For me, it's my phone - Facebook, Pinterest, games . . . I can get distracted for hours. Carol - Social obligations! (And when "things get bad enough")! Mary - Not much if it is a really good book . . . well maybe going to work . . I have not figured out how to drive the school bus and read at the SAME time . . . if I get that figured out . . . I will let you know! What is your biggest benefit from the reading that you do? Tami - There are many benefits. Reading has given me a broader perspective. Reading has increased my vocabulary, my knowledge, and my interests. There are many places and events that I know about only because I read it in a book. Reading has introduced me to a much wider assortment of people than I could meet in reality. But the biggest benefit has got to be escape. I have gotten through stress, boredom, sadness, and even fear by escaping into the fantasy world of a book. Even when there is nothing in my world that I want to get away from, reading lets me escape to old friends or totally new characters; a mystery to solve, or a mind to explore; real life events or a little magic. Carol - I don't think I can limit it to one! Here are some benefits and they all seem big: Entertainment; escape; learning about new things and old things, and places, and increasing my vocabulary. Books are full of tidbits! A big thing that people who don't read miss is this: Reading the story of someone else, true or fiction, can benefit the reader with different perspectives on different situations, and in turn, the reader may learn to have more understanding and tolerance for those around them (and more empathy for themselves as well)! Mary - It has increased my vocab a lot . . . not that I use the words but I know what they mean . . . when I was much younger and I came across a word in a book I didn't know, I would look it up . . . don't have to do that so much anymore . . . and I think it is relaxing . . . even a good suspense book! I wish it made me a better speller but nope! Thanks ladies for your thoughts! I also did some of my own research and found a few tips that I will try as well! One reader said to set a goal per reading session - determine that you will read 15 pages before laying the book down. Another piece of good advice - ignore what you "should" be reading - and read what you like! As my sister often says, "Life's too short for bad books". And because it's technically possible - be prepared digitally across all your mobile devices - Ipad, smart phone, and of course Kindle - to read the same book wherever you are. Sacrifice something. You’ve got 24 hours in a day. You spend 8–10 hours (hopefully not much more) working. You spend 6–8 hours sleeping. You’ve got family and friends to spend time with every day. All of this doesn’t leave much time for other interests, like reading. So . . . I have determined that in order for me to make strides in my TBR list in 2017 I will be more "intentional" about my reading. 9 p.m. seems to have been the most popular hour of the day to say - - - I'm done for today - - - I will read now. For me that means that TV will be sacrificed. Shows can be recorded and watched at another time - but not after 9 p.m. Then I will hit the sack and get some extra sleep - the best solution for my sleepy eyes! Thank you again to my friends who shared their secrets to reading success . . . I admire all three of them in the books they have read and what they know! I thought it was very interesting that "my experts" all had some of the same feelings about reading. Tried and true advice . . .
Everyone make sure to sign up for Dewey's 24 Hour Readathon coming very soon - Saturday, October 22! I can't wait!